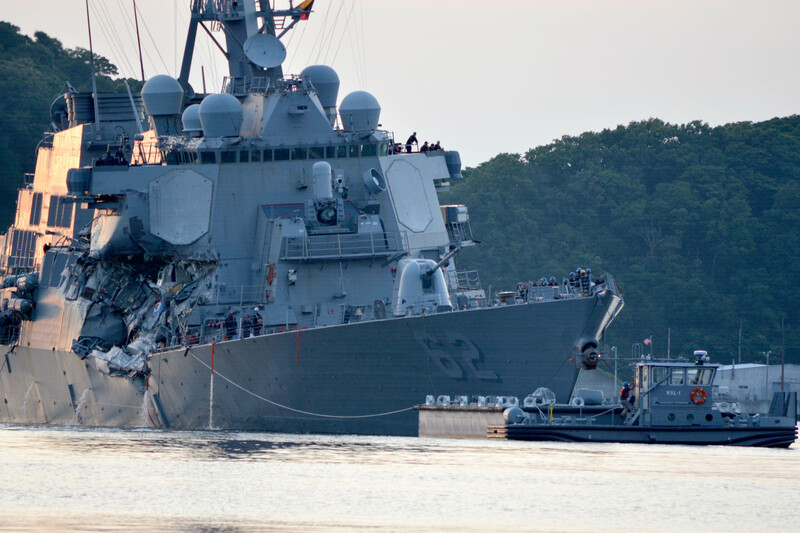 Navy Times has a story about an internal Navy investigation of the USS Fitzgerald’s fatal collision with merchant vessel ACX Crystal that took the life of seven sailors and disabled a $2B DDG. In my experience there is only one explanation for this, that the standing orders were proforma to check a box, but the Captain did not in fact want to be disturbed, and had made it clear that he expected his officers to handle the situation without interrupting his sleep. About three weeks after the ACX Crystal disaster, Fort’s investigators sprang a rules of the road pop quiz on Fitz’s officers. It didn’t go well. The 22 who took the test averaged a score of 59 percent, Fort wrote. “Only 3 of 22 Officers achieved a score over 80%,” he added, with seven officers scoring below 50 percent. The same exam was administered to the wardroom of another unnamed destroyer as a control group, and those officers scored similarly dismal marks. The XO Babbitt, Coppock and two other officers refused to take the test, according to the report.